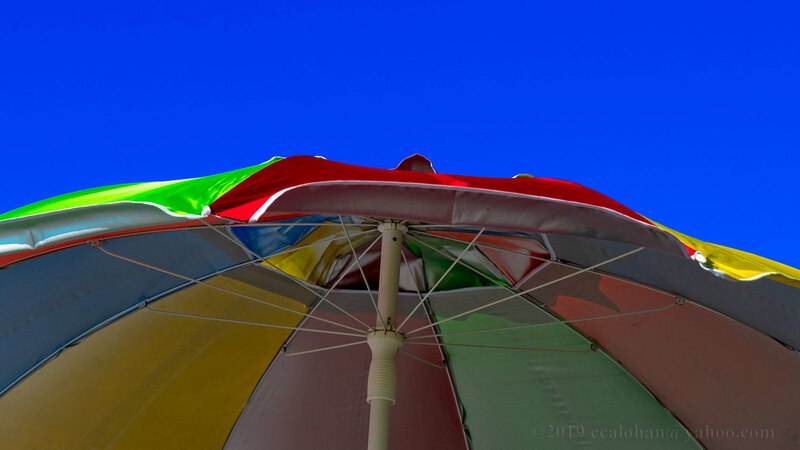 I am off on the sky as it seems to dominate the gentle pastels of the underneath of the umbrella. Do you have more of this subject. I hope you did get other views too? BTW, to others: note I don’t believe I have every questioned Chris’ images as I have done here. Almost all his His work is shown ready for a gallery, collector or exhibition. I'm reminded of the Christo and Jeanne-Claude "The Umbrellas" project.